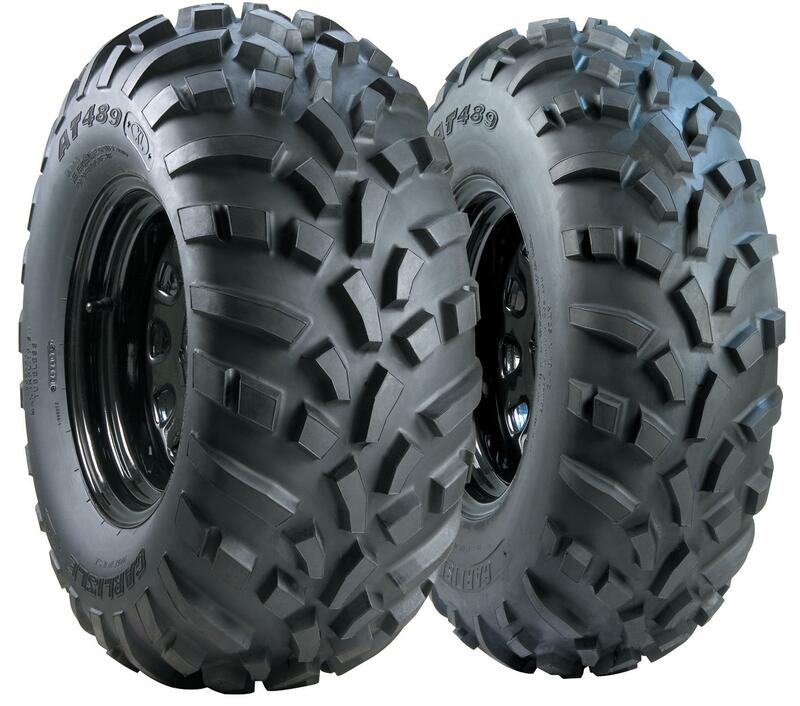 The Carlisle 489 ATV tire is a versatile front tire and rear tire choice with smoother riding and more stability. The Carlisle 489 ATV tire is a versatile front tire or rear tire choice. Carlisle’s 489 ATV tire is smoother riding and more stable than most ATV tires. Designed with a rounded shoulder which makes for easy steering & great bite, and with a flat footprint for extra ground contact and plenty of traction without an unnecessarily rough ride.